Founded in 1953 by the late Emil First, the Sudbury Symphony Orchestra became a registered charitable organization in 1975. The organization’s mission to increase the awareness and appreciation of music in the Sudbury Region and surrounding area by providing the opportunity for the public to attend a stimulating program of concerts and by encouraging artistic excellence, commitment and education. Our vision is to promote a culture of creativity in the City of Greater Sudbury and aspire to foster a community in which children and adults are exposed to the extraordinary personal benefits that come from participation in music and the arts. 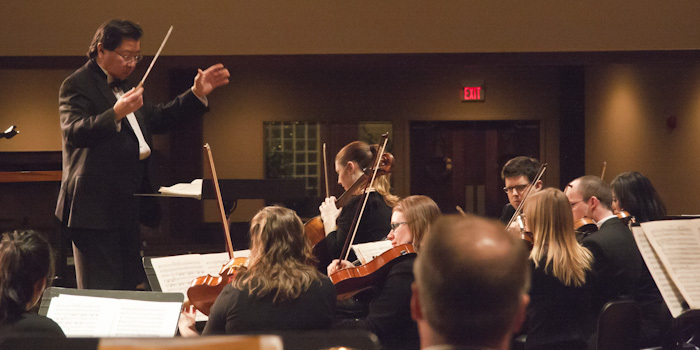 Excellence in Artistry by providing high-quality, live orchestral performances to our community. Professionalism in all we do; responding to the needs of our employees, students, patrons, musicians, volunteers and stakeholders so that they can continue to support and contribute to the ongoing success of the SSO. Teamwork, Collaboration and Partnerships to bring musicians and members of our community together to enrich the lives of all residents of the City of Greater Sudbury through music. Accountability through open, honest, ethical communication and decision making, as well as the wise use of our resources and responsibility for our decisions and actions. © 2019 Sudbury Symphony Orchestra. All Rights Reserved.